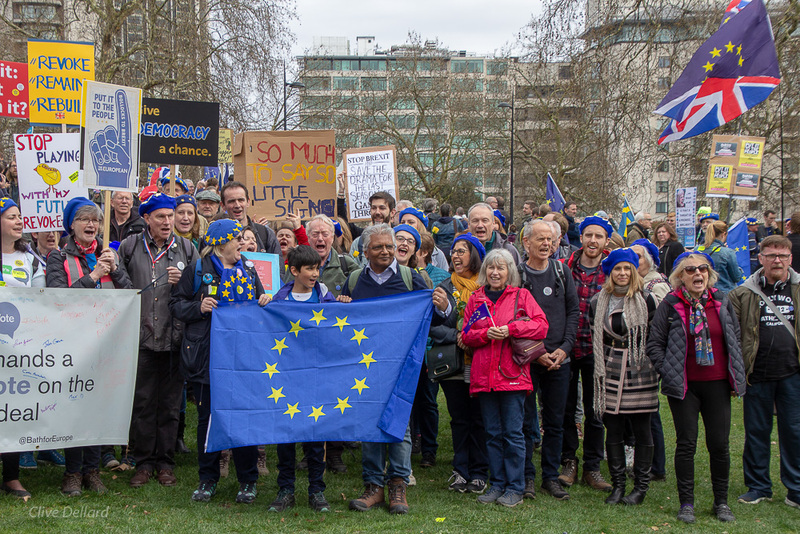 Bath for Europe monthly rally, February 2019. Photo © Matthew Perks. 1.6 million relationships have ended because of Brexit, according to a survey by online dating website ‘eharmony’. Relatives are rowing, friendships have broken but, saddest of all, some families might be split up. 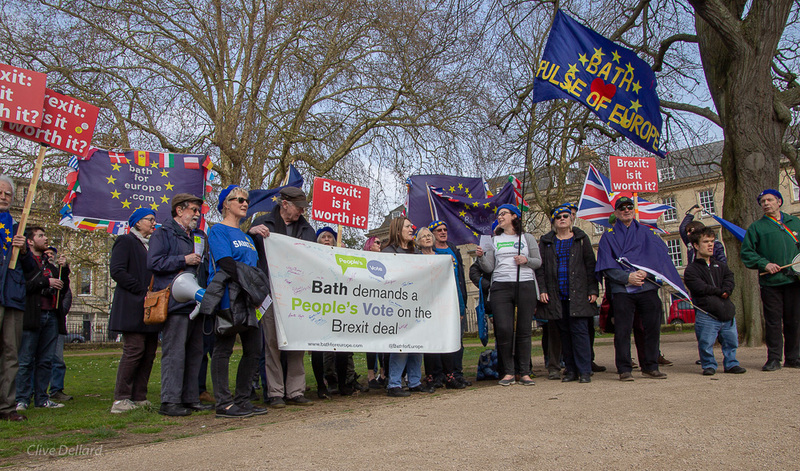 At Bath for Europe’s February Rally, Véronique Martin, born in France but living in Britain for over 30 years having married a British man, spoke of the anguish that Brexit has brought her and other EU nationals. As the associate director of the In Limbo project which was launched to give a voice to the 3.5 million EU citizens in the UK (some 5,000 live in Bath) and the 2.2m UK citizens living in other EU countries, she has witnessed so many heart-breaking testimonies. The crowd outside the Assembly Rooms was moved by the story of a German woman, a resident of the UK for over 20 years who was torn between staying in the UK with her foster children and her husband who had cancer or moving back to Germany to care for her elderly, sick mother. Read Véronique’s speech here. 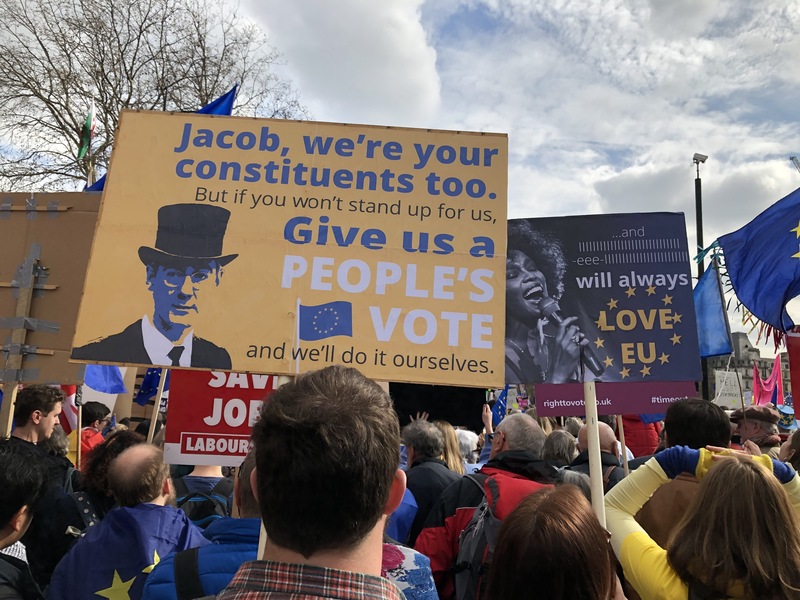 Marching through the streets of Bath, some slushy and others slippery with clods of ice, Bath for Europe supporters called for a People’s Vote on the final Brexit deal. Daily reports from major manufacturers such as Nissan or Airbus, with its huge base in the South West, are now threatening to leave the UK in the event of a No Deal Brexit, have made people question what is at stake. Genuine concerns about the availability of medicines have also encouraged people to question whether remaining in the EU would be the best option.